I’m going to go all fangrrrl on this lady, so beware! In Must Love Breeches, Isabelle is taken under the wing by Miss Ada Byron. But did you know this was based on a real person? In my novel, she goes by her maiden name, as she wasn’t yet married, but history now knows her as Ada Lovelace. Steampunk lovers know her as one of the character’s in William Gibson and Bruce Sterling‘s alternate history novel The Difference Engine , where Charles Babbage finishes his invention and the computer age is ushered in much earlier. Computer programmers might have heard of her, because she’s credited as being the world’s first computer programmer. In fact, the United States Defense Department named their new computer language, unveiled back in 1980, ADA. She’s a main character of a webcomic by Sydney Padua called 2D Goggles, or The Thrilling Adventures of Lovelace and Babbage. And someone made a LEGO mini figurine! 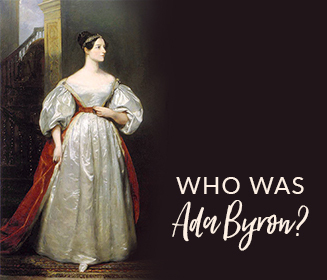 Did you know, though, that she was the only legitimate daughter of that bad boy of English poetry, Lord Byron? Another cool fact: she actually, as a child, tried to invent a steam-powered horse! She was so steampunk! She had her scientific pen pals send her dead birds so she could measure wing span to body mass. I’m not making this up. 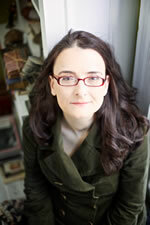 Besides The Difference Engine, she’s also a main character in this novel: Lord Byron’s Novel: The Evening Land (P.S.) . I came across this at a library sale, talk about serendipity! It’s an imagined novel of Byron’s but set within two different story frames: one present day emails of a researcher who has ‘discovered’ this lost novel, and ‘notes and letters’ written by Ada about her attempts to recover the novel and hide it from her mother. Are you now scratching your head wondering why you’d never heard of her? (If you already have, yay!). She’s downright amazing. I thought I’d do a little round-up of fellow bloggers who’ve gotten their geek on about Ada as well as some biographies you can get to learn more about this amazing woman. 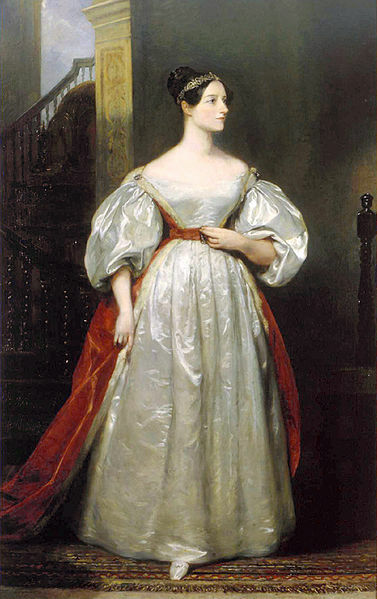 Ada, Countess of Lovelace: Byron’s Legitimate Daughter – not my fave. Mostly about her parents. I have something cool for you! Subscribe to my newsletter below and I'll immediately send you deleted scenes from my USA Today bestseller Must Love Breeches as well as an excerpt from my new contemporary Earning It and some fun, printable stickers!